Aeroflot today signed a Letter of Intent with Sberbank Leasing to acquire 14 Boeing aircraft, formerly intended for Transaero, which stopped flying on October 26. The aircraft, mostly 737NGs will be operated by Aeroflot itself and its subsidiaries, the carrier said in a statement. 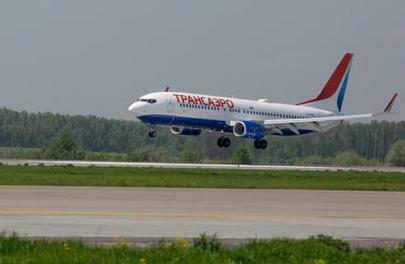 According to industry sources,Transaero operated three Boeing 737s leased through Sberbank Leasing: two classics (7370500s) and one NG (737-800), delivered in 2015. The airline had 11 more 737-800s on order, one of which was set for delivery before yearend, and the rest – throughout 2016 and 2017. Besides that, Sberbank Leasing leased five Boeing 747s aged 24 to 15 years to Transaero. Earlier, Aeroflot’s general director Vitaliy Saveliev mentioned that he was interested in 34 of Transaero’s aircraft, including Boeing 737, 747, 767 and 777.